Specifically conceived for pressure demanding applications such as CPU cooling, the classic NF-P12 120mm fan helped to found Noctua’s reputation as a top-tier manufacturer of premium quality quiet cooling components and still impresses users with its exquisite quietness and superb performance. Featuring a further refined blade design with Anti-Stall Knobs that works in tandem with the new AAO or Advanced Acoustic Optimisation frame. 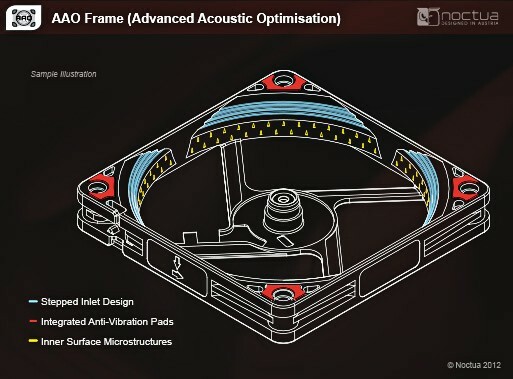 The NF-S12A improve s the airflow/noise efficiency of its renowned predecessor by up to 8%. The PWM version sports Noctua’s custom designed NE-FD1 IC for fully automatic speed control via 4-pin fan headers and comes with a Low-Noise-Adaptor to reduce the maximum speed during PWM control from 1200 to 900rpm. 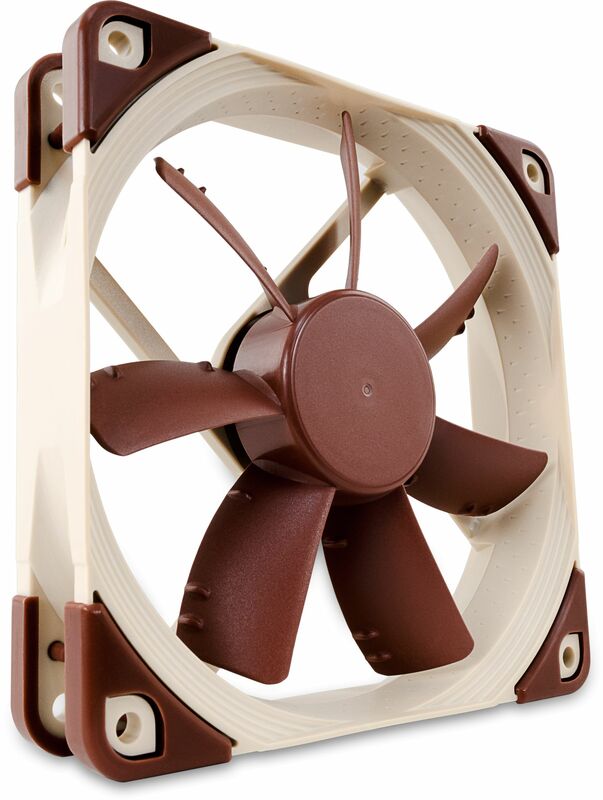 Its superb running smoothness, and Noctua’s trusted premium quality make it an elite choice for quiet case cooling. 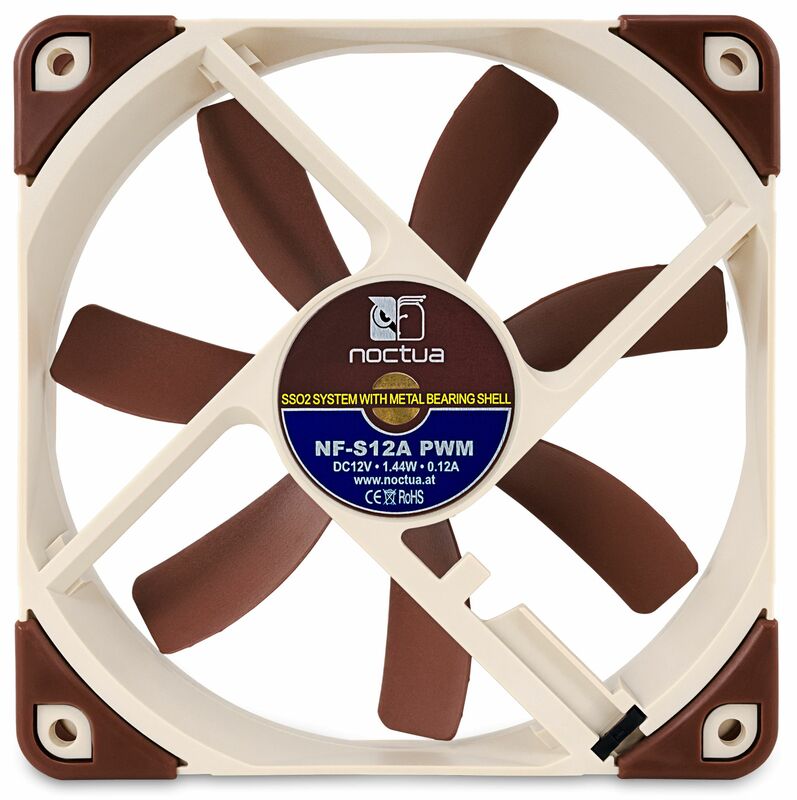 As expected from Noctua, the fan is well packaged and is supplied with both the usual fan mounting screws and also rubber fan mounts to isolate the fan from the case ensuring that no vibrations from the fan can reach the case. 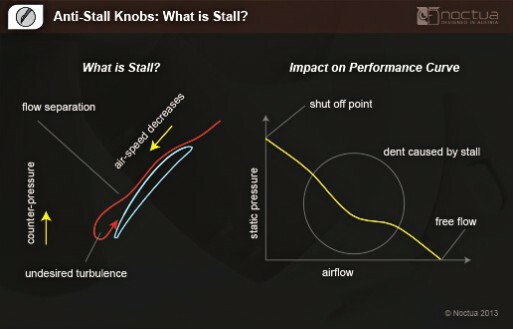 An in-line resistor (L.N.A) is included and this simply lowers the voltage and therefore the overall speed of the fan if the default range of speeds are too high.